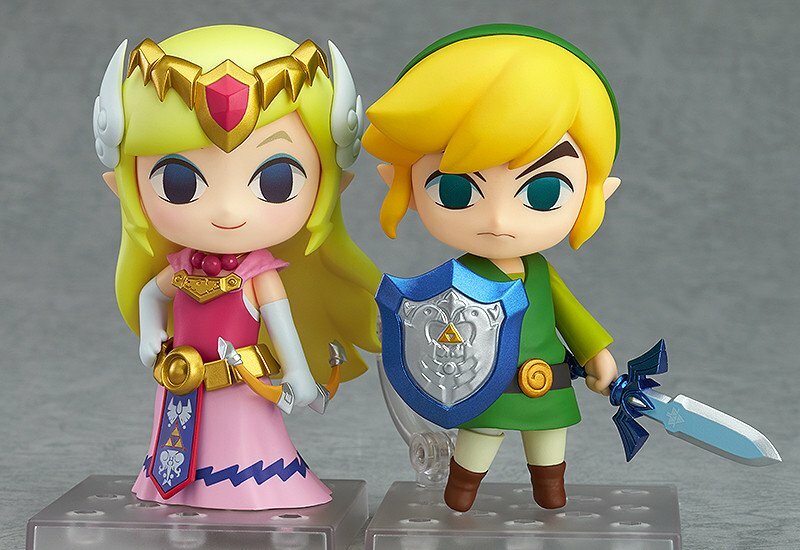 Good Smile Company ensures that its Wind Waker Link Nendoroid won’t go alone by releasing a Nendoroid of the game’s version of Zelda, princess of Hyrule, leader of pirates, and mocker of Link. 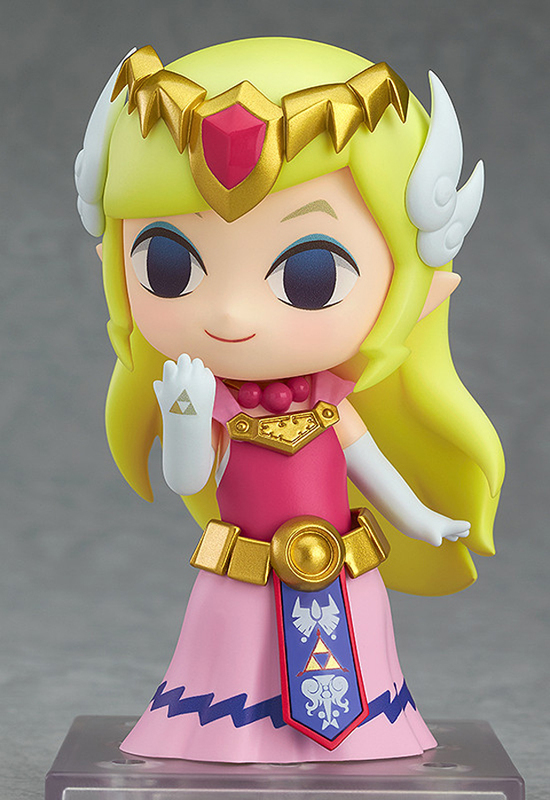 Zelda looks so pretty in her brightly colored dress and jewelry. 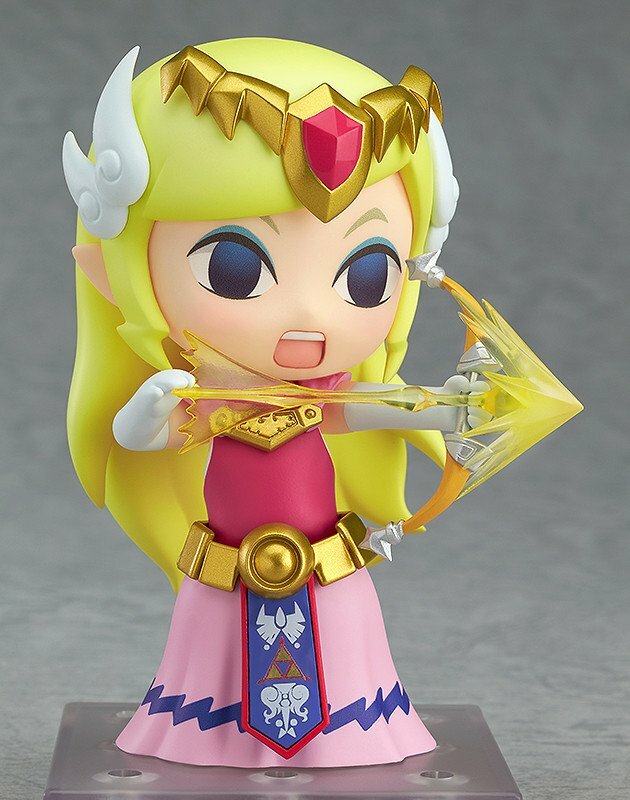 She comes with several arm parts, three heads – smiling, winking and angry – and her trusty bow and light arrow. 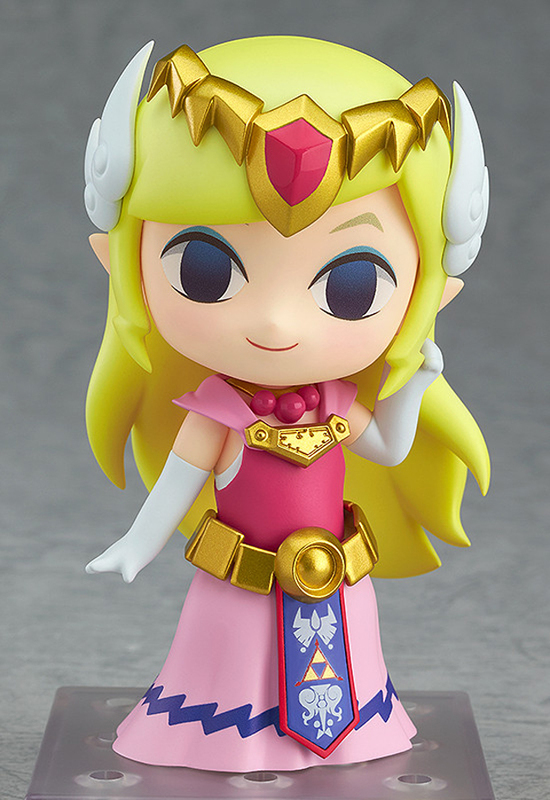 She also comes with a Mirror Shield and a Master Sword for the Wind Waker Link Nendoroid. 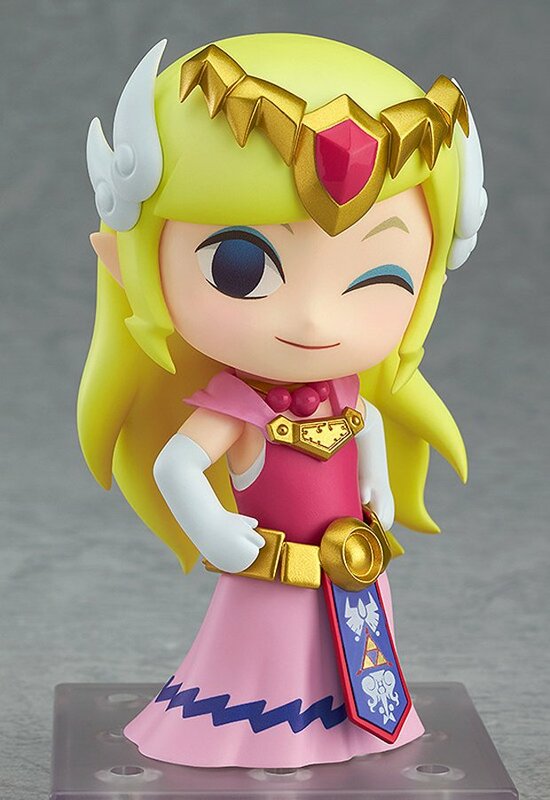 You can pre-order the Wind Waker Zelda Nendoroid from Amiami for ~$35 (USD).